One of the many benefits of family dinners is healthy eating habits — more fruits and vegetables, fewer fried foods and trans fats, lower consumption of sodas and sweets. Research shows that these benefits last into adulthood, so kids who regularly gather with their families around the dinner table are truly getting the building blocks they need to have healthy eating habits for a lifetime. But what does “healthy” even mean, and how can you be sure you’re taking advantage of your family dinners as an opportunity to model the eating habits you want the whole family to develop? The definition of “healthy” is highly individual, just like our family dinners. What works for one family may not be ideal for another. With food sensitivities and special dietary needs on the rise, deciding what’s healthiest for your family is best left between you and a medical professional. However, building enthusiasm and good habits to help everyone enjoy healthy eating is just as important as what you serve. Getting everyone involved in planning, shopping and preparing the foods you serve is a great way to introduce new tastes and make choosing and trying healthy items fun for the whole family! 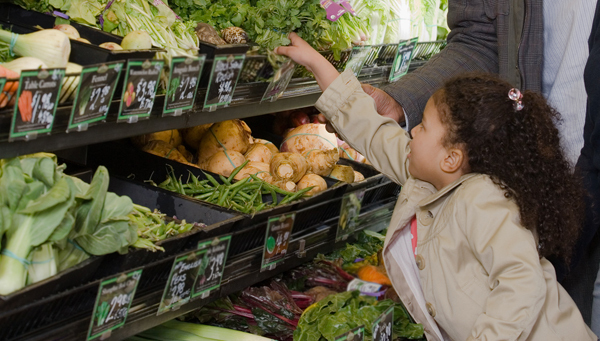 Try some of these suggestions to set yourself up for healthy eating success, and to boost family members’ interest in what goes on their plates. “Okay,” you might be saying, “but what about my picky eaters? They won’t touch anything healthy!” Selective eating is one of the most common challenges families face at dinnertime, but it doesn’t have to define your meals. Tastes change over time. With patience and encouragement, you can find the right balance between honoring taste buds and building healthy habits. 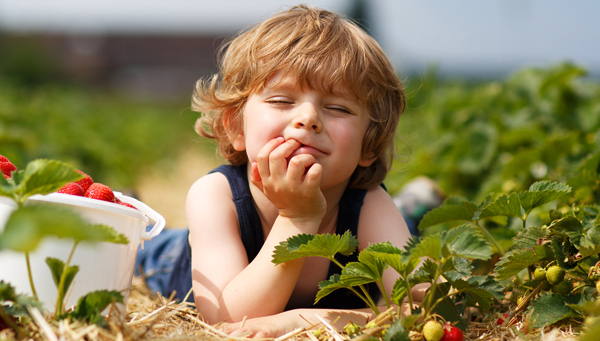 We’ve all said it at some point: “Stop playing with your food!” But playing with food can actually be a powerful way to broaden kids’ horizons and make them more adventurous eaters in the long run. Here are some fun ideas to bring playtime to the table. Above all, remember that the family dinner table isn’t just about the food — it’s about the fun and conversation, too! Make sure to focus on each other and not on what family members are (or are not) eating. When you relax, others at the table will relax and open up, too, making for a welcoming atmosphere that’s healthy for bodies, minds and spirits. Meet the Dineen family! Grandparents Susan and Rich show us how they make family dinner special with their five grandchildren. 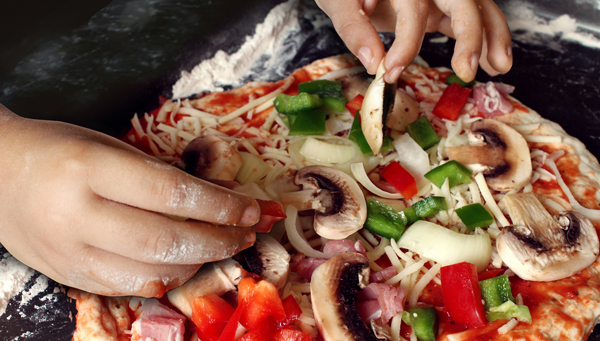 Build healthy eating habits with customizable recipes from our Build-Your-Own section! 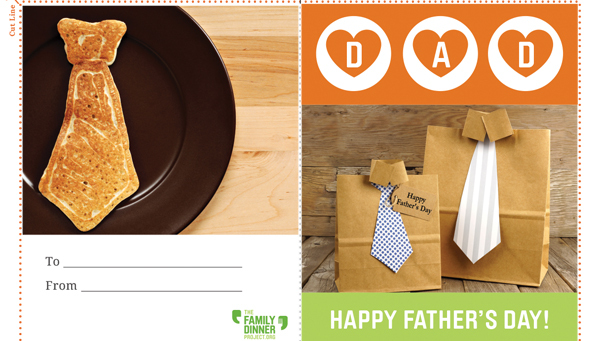 Celebrating Dad this month? 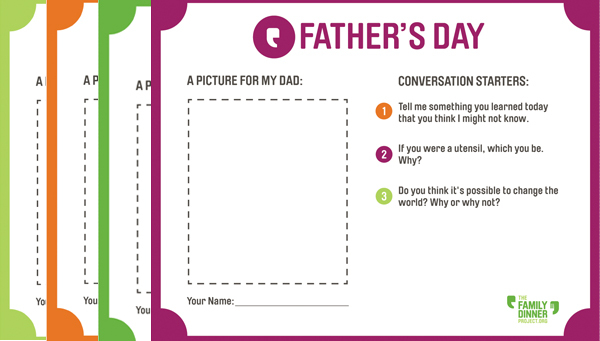 Check out our Father’s Day printables!